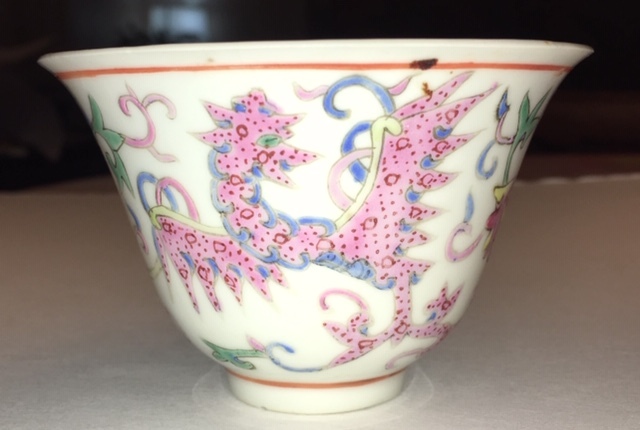 Greetings all, does anyone recognize the mark on this teacup and how old do you think it is? 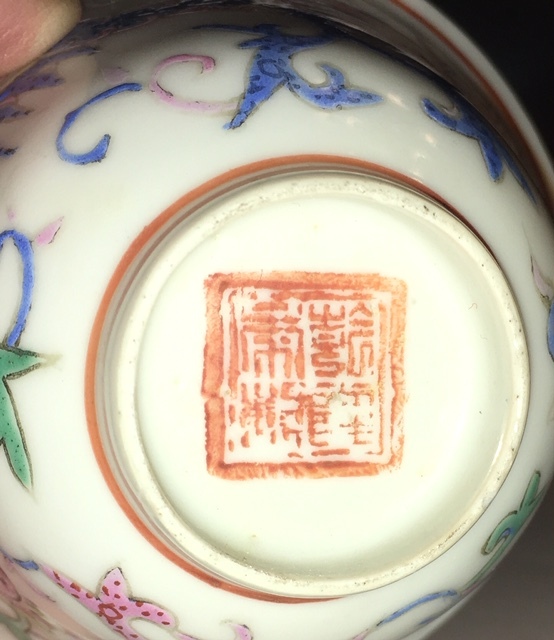 The stamped mark reads "Made during the Qianlong Reign" (Qianlong Nian Zhi) in seal script. 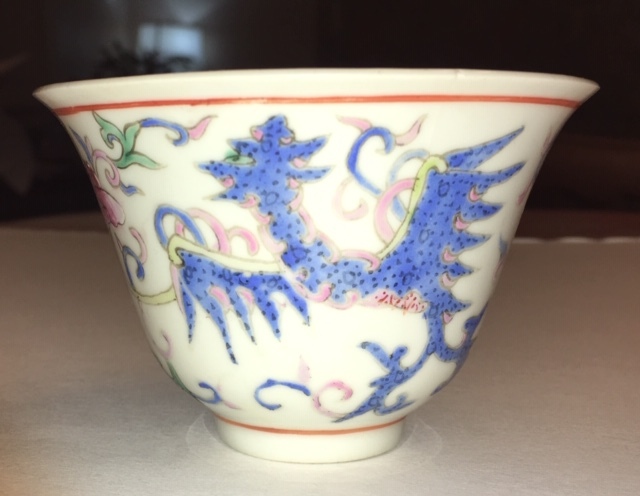 Since the decoration seems to me to lack the quality of earlier versions of the pattern, I believe the cup was made during the latter years of the Republic Period (1912-1949) or subsequently and may have been made for domestic marketing or restaurant use and not for export. As always, your help is much appreciated! Thank you!